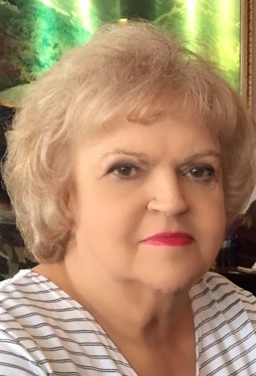 Obituary for Ermine Rowe | Goldsboro-Fabry Funeral Home, Inc.
Ermine Rowe, 85, of Fairchance, formerly of Brownfield died Monday, February 4, 2019 following a long illness. She was born on August 24, 1933, a daughter of the late Alex and Alverta Townsend of Rosedale. Ermine was preceded in death by her husband Ernest H. Rowe. Ermine was a great cook, seamstress, and animal-lover. She was an award winning costume designer and will be remembered for her involvement with the Uniontown Halloween Parade. Ermine and her family were frequent guests on WPXI’s Chiller Theater forming a life-long friendship with television host Bill Cardile. Commons, Hazel Kennedy, and Andrew Lancaster. Arrangements are being made by the Goldsboro-Fabry Funeral Home. A private service will be held followed by burial at Walnut Hill Cemetery.